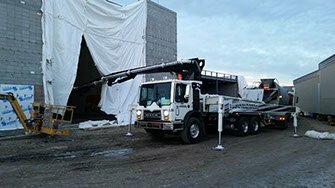 Dynamic Concrete Pumping, Inc. offers 33-meter truck-mounted boom pumps to meet your residential and commercial construction requirements. Our fleet includes four-section Multi-Z boom and 360-degree, continuous-swing, five-section, true double-Z boom models ideal for job sites requiring more mobility and less range. 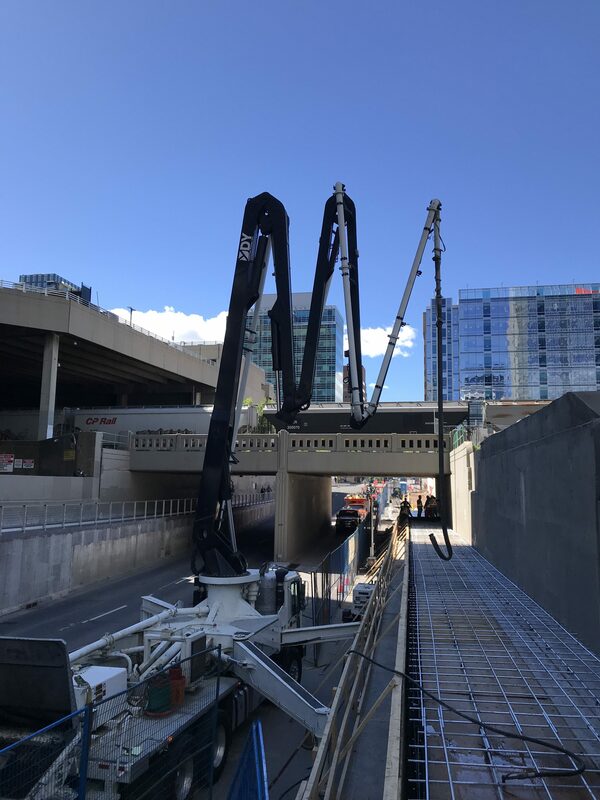 The lightweight design and compact footprint make it possible to work on soft terrain and navigate high-traffic areas while the low profile provides for safe and efficient on-road travel over and under bridges. 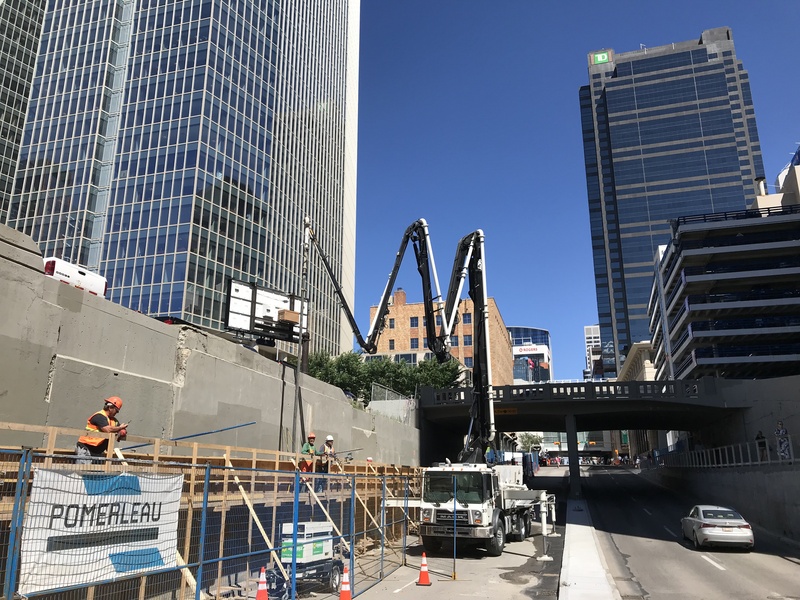 Our 33-meter concrete boom pumps unfold and open in areas with limited space and overhead clearance and can be operated inside structures and under elevated obstructions. These units are built by leading North American manufacturers and offer the power and reliability you need to maximize productivity. With over 91 feet of horizontal reach and more than 105 feet of vertical reach, you’re able to pump concrete to difficult-to-access places with increased versatility. Commercial contractors and residential builders alike rely on our 33-meter boom pumps for a variety of concrete pouring tasks. The models are an exceptional choice for working under bridge decks, power lines and other areas, where overhead obstructions and hazards are present. 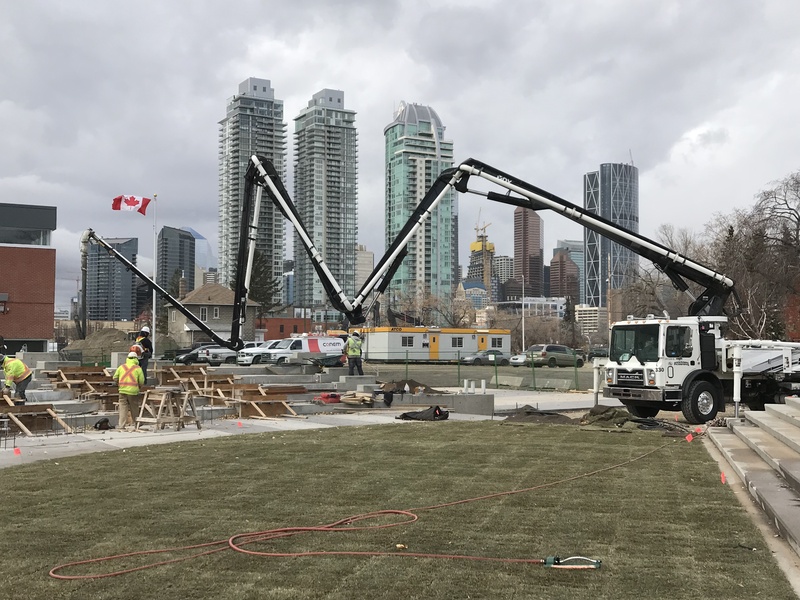 The boom design allows you to reach into tight spaces and enclosed structures while the high output with reduced manual labor speeds up the process of pouring concrete slabs and foundations. 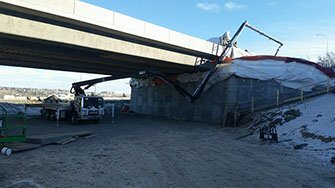 Contact Dynamic Concrete Pumping, Inc. for more information on our 33-meter concrete boom pumps. We offer a complete range of pouring and pumping services as well as finishing, grinding, and polishing services.